This communication is to update you concerning BUSD’s response to the air quality situation. The safety and health of our students is our top priority, therefore, we have restricted outdoor activities due to the changing air quality. BUSD will be constantly checking air quality readings provided through AirNow.gov and following the Air Quality Index to ensure staff and student safety. 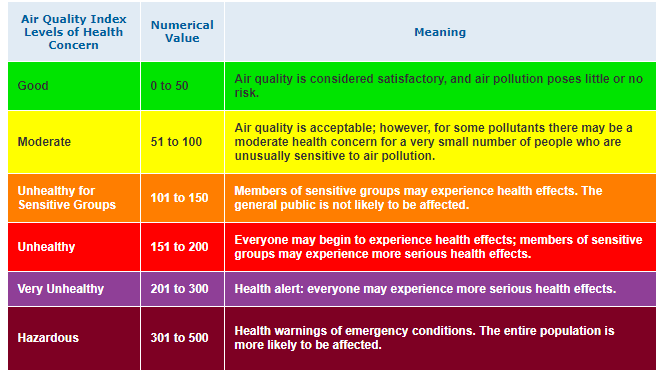 Below you will find the Air Quality Index along with our current Air Quality plans for students and staff. Schools will minimize time outdoors for lunch and recess. Thank you for your cooperation and support as we deal with poor air quality. Our thoughts go out to our Fairfield, Napa, and Sonoma neighbors who are dealing with evacuations and tragedy.